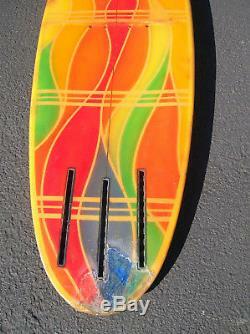 Be sure and check out my other surfing items too. I have a bunch of vintage surfboards for sale too and will be listing more in the next few weeks... Talk about a ultra rare board here is this 5 foot eleven inch chrono synclastic surfboard from carpinteria , california.... 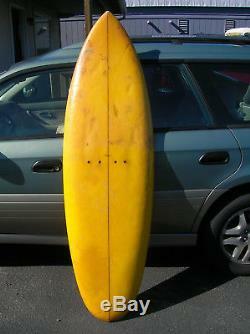 I have checked the internet on boards like this and found nothing out there... Worthy of a surf museum and could be the only one like it out there today.. 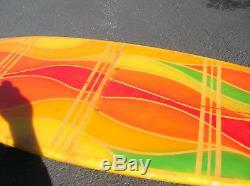 This board has great color on the bottom as you can see.. Old repair on tail but could be cleaned up way better.. Board is solid from what i can see.. What makes this board ultra rare is where it is from and the design that it has... Bing surfboards did a board kinda like this one which they called the bottom a jet bottom.. Perfect for the vintage surf collection or display in your home or even restaurant.. 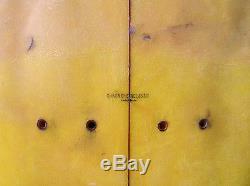 This is about as rare as they come so good luck on this super rare piece of surfing history. 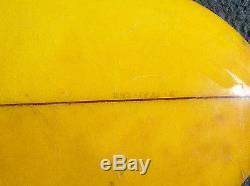 The item "Vintage 1970 chrono synclastic jet board surfboard carpinteria ca RARE RARE RARE" is in sale since Monday, November 27, 2017. 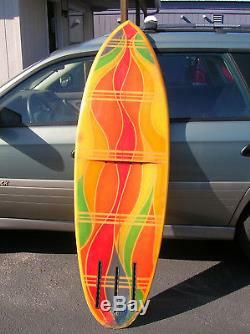 This item is in the category "Sporting Goods\Water Sports\Surfing\Surfboards". 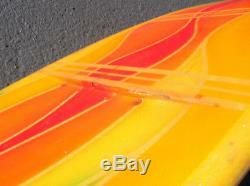 The seller is "lcsurf" and is located in Lincoln City, Oregon. This item can be shipped to United States.